SureCrete’s interior and exterior floor sealer non-slip grip additive, SureGrip is a product that can be added to a sealer or coating as well as broadcasted over the applied surface. 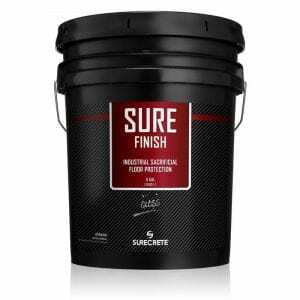 SureCrete’s SureGrip is a premium grade Non-slip additive for interior and exterior sealers or coatings. Sure Grip consistently outperforms other slip resistant additives in durability, due to its inherent crush resistance. The almost spherical shape of SureGrip will also impart a smoother “feel” than most other slip resistant additives. Low density and insolubility characteristics reduce or eliminate settling when blending into all of SureCrete’s sealers. 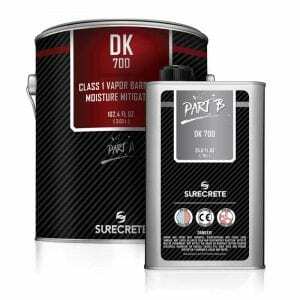 SureGrip is available in both sealer additive and hand-broadcast formulations. SureGrip Additive is available in two different particle sizes, medium and fine. Heavy-Duty = 840 microns or 20 mesh. Regular = 300 microns or 50 mesh. Whether you are a homeowner looking to keep your children or houseguests safe or a professional coatings applicator working on projects that have specified non-skid surfaces, SureGrip offers an extra level of safety that is simple to apply and easy to manipulate to your desired degree of coarseness. 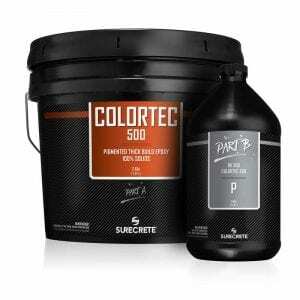 How Do You Apply SureCrete SureGrip non-skid broadcast and additive? SureGrip is merely broadcast out by hand immediately following sealer application, while the coating is still wet and fresh. SureGrip Additive and SureGrip Additive HD are mixed into your specified sealer before being applied to the project surface. Then just roll the sealer out usually! 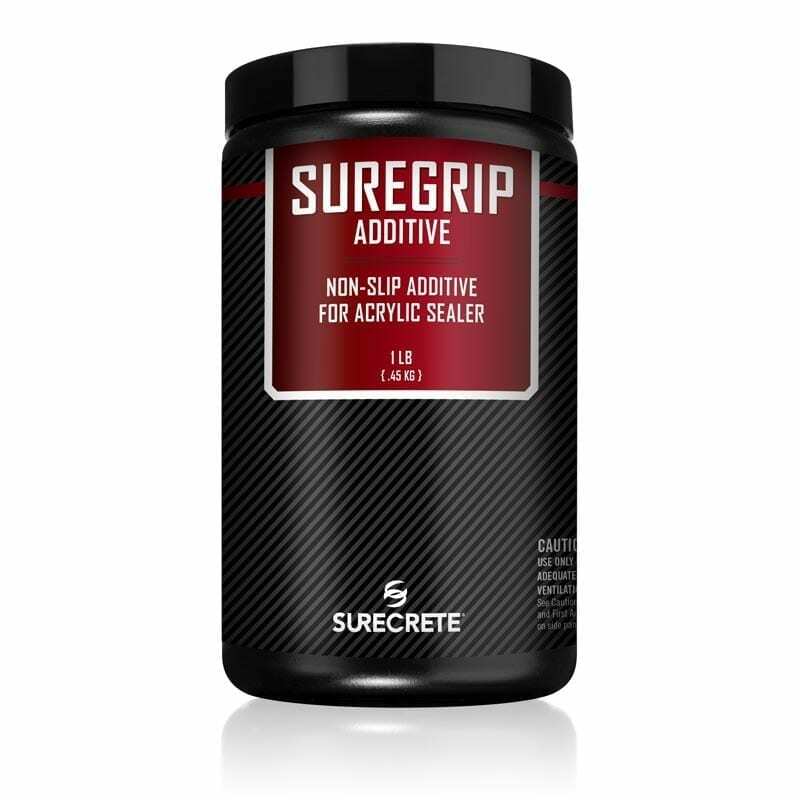 Question: How much SureGrip should I use? Answer: It’s entirely up to you and your preference for protection and sheen, but if using the Additive version, we typically suggest no more than 1 quart SureGrip Additive per 5-gallon pail of acrylic sealer. Question: Which type of SureGrip should I use? Answer: Again, this is entirely up to your own personal preference. SureGrip Additive 1 lb.SureGrip Additive "HD" 1 lb.SureGrip Broadocast 4 lb.SureGrip Additive 20 lb.SureGrip Additive "HD" 20 lb.SureGrip Broadocast 80 lb.